A host of new smart energy devices and systems are emerging that can take pressure off overloaded grid infrastructure and power costs,dramatically improve grid reliability and security,and accelerate the growth of cleaner power generation. 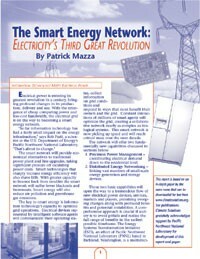 Smart energy is the application of digital information technology to optimize the electrical power system. 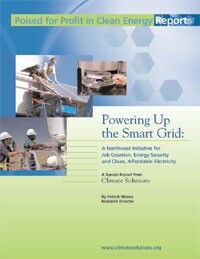 The smart grid is the product of applying smart energy technology to electrical power delivery and generation. Smart energy technologies are beginning to transform the power network into a smart grid capable of meeting 21st century economic, security and environmental challenges. Download the report here. Electrical power is entering its greatest revolution in a century, one that compares to Thomas Edison's creation of the world's first electrical grids and George Westinghouse's origination of long-distance power transmission. In prospect are profound changes in the ways electrical power is produced, delivered and used.